Project partners exchanged ideas and good experiences for the training of 80 farmers in their respective countries. During the two days in Patras, the consortium discussed the steps foreseen by the project, in particular the training of producers and the final conference to be held in Italy at the end of June 2019. The consortium also talked about the contents of the Guidebook that will be used for the training of the 20 producers during 80 hours of lectures and field visits. 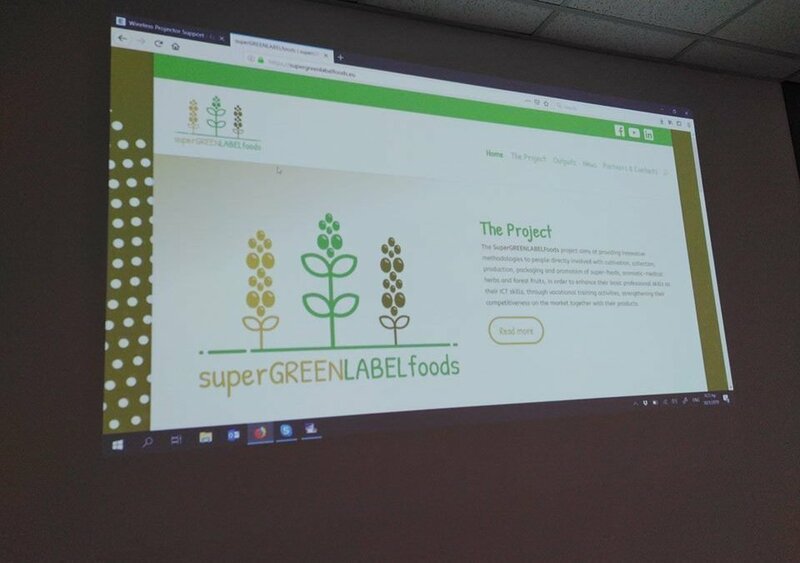 The SuperGREENLABELFoods project will make the professionals in the agri-food sector acquire new skills, information and communication to improve cultivation, harvesting, production, packaging and promotion of superfoods and medicinal herbs. SuperGREENLABELFoods is co-funded by the Erasmus + Program: KA2 – Cooperation for innovation and the exchange of good practices – Partnership | Professional training and training. For more information about the project, contact Dario Ferrante, dario.ferrante@danilodolci.org.